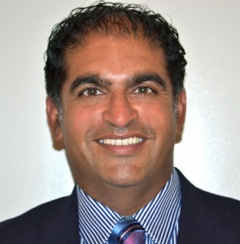 Profitero has appointed Raj Khathuria as VP Sales, North America. Raj brings more than seventeen years of sales management experience to Profitero, focusing on building and growing enterprise software sales organizations. Raj Khathuria brings more than seventeen years of sales management experience to Profitero. Profitero’s unparalleled technology and scale – collecting online data on more than 250 million products on a daily basis – is the de facto solution for any brand that needs complete visibility into the online channel. Profitero, the leading global provider of online insights and eCommerce intelligence for retailers and brands, today announced the appointment of Raj Khathuria as VP Sales, North America. Raj brings more than seventeen years of sales management experience to Profitero, focusing on building and growing enterprise software sales organizations. He previously led the North American sales operation for MarkMonitor, a global leader in online brand protection (acquired by Thomson Reuters in 2012), where he was responsible for growth in key vertical markets including consumer goods, luxury apparel and electronics. We provide both brick & mortar and online retailers with their competitors' prices, promotions and full product assortment information. More than 50 global retailers, including Staples, Waitrose, Ocado, Walmart-owned Sam’s Club and Worten, rely on Profitero's accurate and timely competitor price intelligence to make better informed and more profitable pricing decisions, helping them to increase sales as well as margins.